Derg era photograph of a student protest that caught my eye at the Red Terror museum in Addis Ababa. The sign on the right roughly translates to “we will not occupy the people of Eritrea”. One sister is the color of injera; her teeth are big and stuck-out. One sister is a cinnamon stick. Their almond eyes are the same. The ink black hair falls beautiful down their backs. many times about which I choose for you. ‘It is this one,’ he will say, surely, pointing to the woman whose teeth stay in her mouth. the sweet of stinging bees. Exiles look at non-exiles in resentment. They belong in their surroundings, you feel, whereas an exile is always out of place. What is it like to be born in a place, to stay and live there, to know that you are of it, more or less forever? It’s 1997 in Seattle’s Yesler Terrace, and 10-year-old Abai is on a quest to find fresh batteries for his Casio keyboard for one last music lesson with his older brother Sam before seeing him sent back to their native Eritrea indefinitely. Conversations about home (at a deportation centre). Enjoy and share this amazing conversation on identity, sisterhood and the diaspora experience!! Recognize this smile? Chances are if you grew up in/around an Ethiopian or Eritrean community you have seen this smiling face before. The iconic portrait of the “Beni Amer boy” was captured by photographer James P. Blair sometime in the 1960’s. 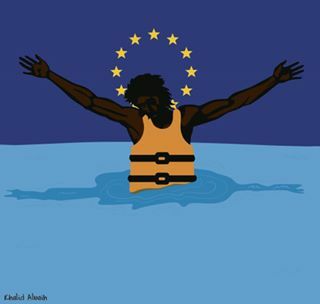 The image is as familiar in Eritrea as it is in Ethiopia. This is due to the politics of the time the picture was taken. 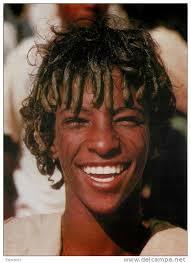 Although the picture was taken in Eritrea, at the time “Beni Amer boy” was simply from “northwestern Ethiopia”. Another reason why this image is iconic is because of the endorsement by the Ethiopian Tourism Commission. The Ethiopian Tourism Commission adopted the “Beni Amer boy” as the face of “13 Months of Sunshine” tourism campaign.